In August I ran my first Kickstarter, Ladies of Kirk. It was successfully funded at $11,253. This week I finished up delivering all my rewards - the only ones left are the custom portraits promised to my highest backers. So, now is the time to look back at my expenses and ask myself that terrifying question: did I actually make any money here? This is almost exactly 30% of the gross profits, which is more or less what I was predicting for the project. It's pretty cool that I was able to generate over $4k on my own intiative, not depending on clients to commission me. However, I estimate I put 150 hours or more into the entire project. That makes my hourly pay far below what I make on commissions - and on top of that, this project was often very stressful. Running these calculations definitely puts a damper on the idea of running any future Kickstarter campaigns. But at the same time, I'm pretty dang proud of this accomplishment. 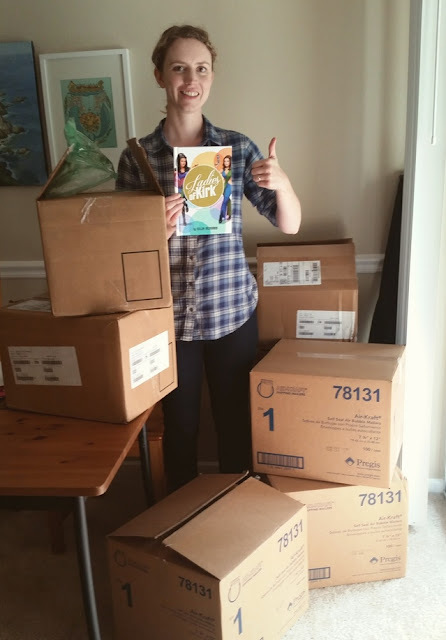 You guys, I printed and shipped 350 books in about a month and a half. 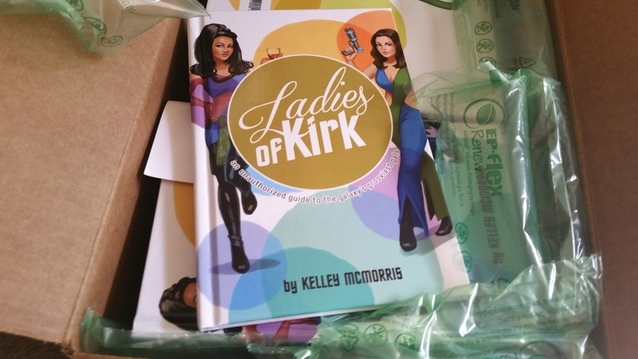 The Ladies of Kirk are going all over the world, including South Africa, New Zealand, Sweden and Israel. People have been receiving copies of their books this week, and seeing the pictures they post online make me very, very happy. I almost feel like it's Christmas morning, even though I'm the one sending packages, not receiving them. It's quite a different experience from commissions. Sometimes with commissions, I complete the illustration and send it to the client. They thank me and (eventually) pay me for it, and then I may never hear about it again. I may never get to see the published product, or hear what people think of it, or get to see people enjoying and using it. I create these illustration babies, send them out into the electronic abyss, and hope for the best. But with my own project, I have the joy of knowing that my artwork is in people's hands and that it is making them happy. And that's all I really want. Did the Kickstarter pay off financially? Sort of. Was it time-consuming? Oh yes. Would I do another Kickstarter in the future? Against my better judgement, probably yes. It would appear that you find an entrepreneurial approach more rewarding than working for a wage, even though the latter is more lucrative. Well, doing freelance is still plenty entrepreneurial, and I do enjoy it. It's more fulfilling when the clients are thoughtful enough to send me copies of the products I illustrate or let me know that people are enjoying them. I was honored when I saw we got the Premiere Edition! I'll treasure it always! You did NOT included sales from a digital version of your book. Because I have to imaging you make and ebook or PDF version of the book, right? 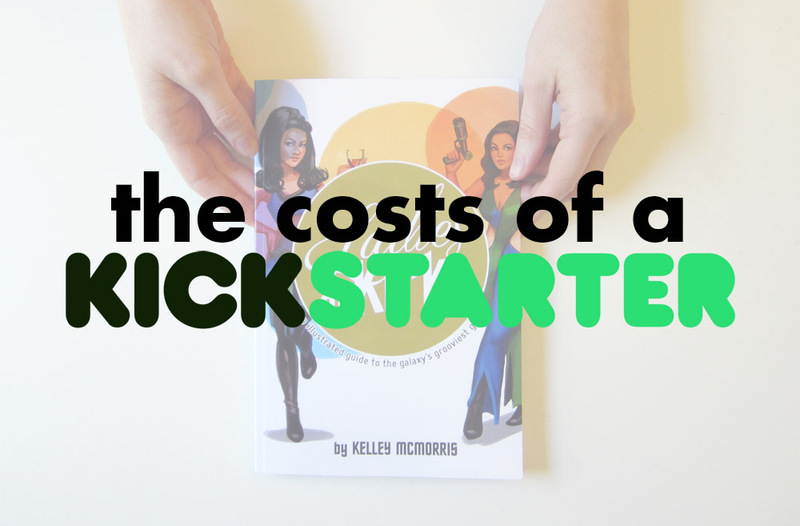 I sold the ebook version as part of the Kickstarter, but I'm not selling it online.